This film is based on the true-life relationship of black pianist virtuoso Dr. Don Shirley (played by Mahershala Ali) and Tony Vallelonga, an Italian-American bouncer-type, portrayed by Viggo Mortensen. “Green Book” refers to a publication guiding blacks to locations in the South where they could find welcoming places to eat and sleep. It was a valued resource up until the Civil Rights Act of 1964 banned discrimination in public accommodations. Shirley needs a driver – and bodyguard – to get him to his concert appointments not just in Pennsylvania and Indiana, but also in Kentucky, Tennessee and even down to Alabama. As they travel, the initial friction between the two – one of them precise and a bit prissy and the other coarse and uncultured – begins to turn into respect and even affection. They navigate, and finally confront the racism that allows a black man to perform before a white audience, but not eat in the dining room or use the “white” restroom. Despite the bleak cultural picture of 1962 race relations, this is an optimistic film, showing how a society – and people – can move toward a greater sense of justice and brotherhood. Each of the lead characters helps the other, and if the finale doesn’t make you grin a bit, nothing will. Ali and Mortensen are spot-on, and director Peter Farrelly (“There’s Something About Mary”) adroitly marries wicked humor with authentic human emotion. 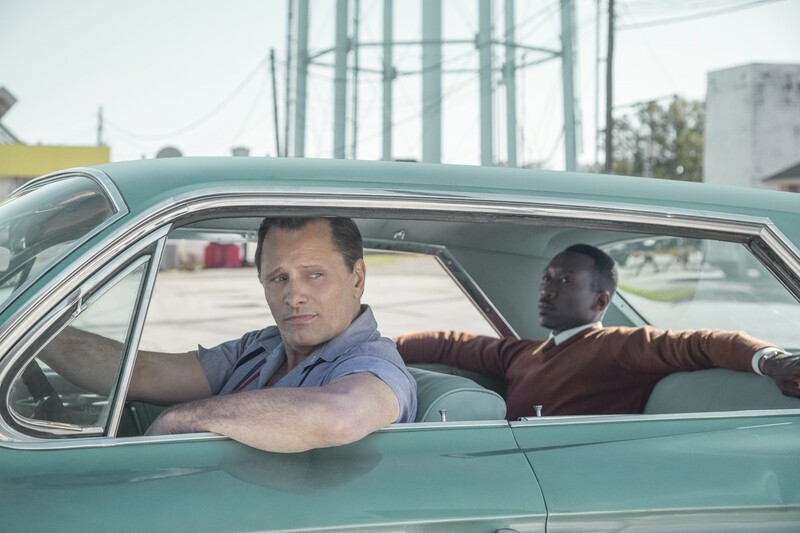 “Green Book” is definitely a trip worth taking. “Green Book” is rated PG-13 for violence, language (including profanity and racial slurs and smoking.